Police caught Rocco outside of his London home, and mum Madonna says Rocco’s arrest for possession is a family matter, but she is now speaking out. Madonna’s 16-year-old son Rocco faced arrest for possession of cannabis. Although his arrest took place on September 28, Madonna is just now speaking out. According to the singer, the situation is a family matter, and she will continue showing her son love and support. However, Rocco Ritchie’s father, who he lives with full time, has yet to comment on the situation. According to PEOPLE, Police caught Rocco holding a small amount of cannabis outside of his North-West London home, which he shares with his father Guy Ritchie. A 16-year-old youth has been arrested for possession of cannabis. The arrest follows a stop and search by officers from Camden borough at around 5.15pm on Wednesday, September 28 at Steeles Mews North. The youth was taken to a north London police station. He was subsequently bailed and dealt with by Camden borough’s Youth Offending Team. He was dealt with by way of Triage, which uses multiple strands to engage and educate young people in order to prevent re-offending. After noticing Rocco and a friend sitting on a wall and tossing something into the air, Police found weed in his book bag. Moreover, he had traces of cannabis on his clothing. I love my son very much. I will do whatever I can to give him the support he needs, and I ask that you respect our privacy at this time. 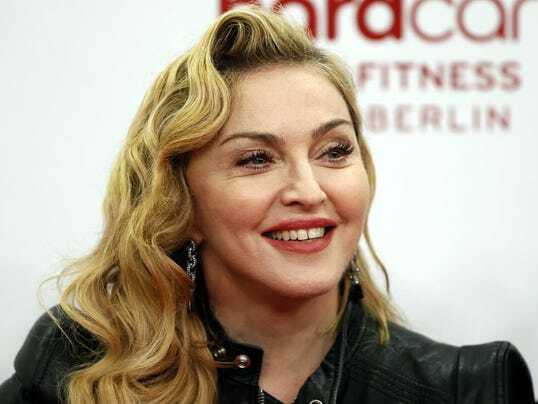 In early September, Madonna came to London to visit Rocco after an eight-month-long custody battle with his father, English director Guy Ritchie. Their dispute began in December of 2015 when Rocco refused to travel with Madonna on her Rebel Heart tour. Rather than go on tour, her son chose to remain in London with his father. Although the star launched legal action in both the UK and the US, the ex-couple eventually came to an agreement. Just hours before their court date in New York, the two agreed that Rocco would stay in London where he attends school. It’s clear that Madonna loves her son and will continue to stand by his side. However, father Guy Ritchie remains silent on the issue but apparently did not look happy. Many sources are blaming his surroundings on his behavior, specifically his friends. However, with much mentioning of the custody battle between his parents, it’s safe to assume that people are speculating that their 2008 divorce may have played a role in his arrest.